Being very fond of Dunhill as a brand, I made it my quest to collect as many of their fragrances as possible. Having reviewed Dunhill Icon some years ago, I felt that it was time to start going through the rest of my collection too. Use the links to jump ahead or scroll on to read more. Download the Dunhill Custom Fragrance Formula as a PDF. Learn More About The Bespoke Unit Fragrance Formula (BUFF). Released back in 2011, Dunhill Custom is probably a little known fragrance today. As it’s still in production, it’s not quite a vintage fragrance. Meanwhile, it’s not a recent enough release to warrant much media attention. Nevertheless, at only $25 on Amazon, it’s still a very attractive purchase. Therefore, this review will help you find out whether it’s worth purchasing! With its rich blend of spicy notes with a woody base, Dunhill Custom sits firmly in the Woody Spicy olfactive subfamily. According to Dunhill, the head consists of English Pippin apples specifically. In either case, there is a sweet fruity opening on red apples in the opening with a boozy backdrop of thick cognac. As Custom transitions to the base, we have an overt spicy note of cinnamon, which accords nicely with the apple. Soon after, the cinnamon gives way to a smoky black pepper note. The black pepper persists as we head into the base. Here, we’re revealed refreshing notes of cedar while rounded, musky ambregris interacts with a foundation of sweet yet earthy frankincense. 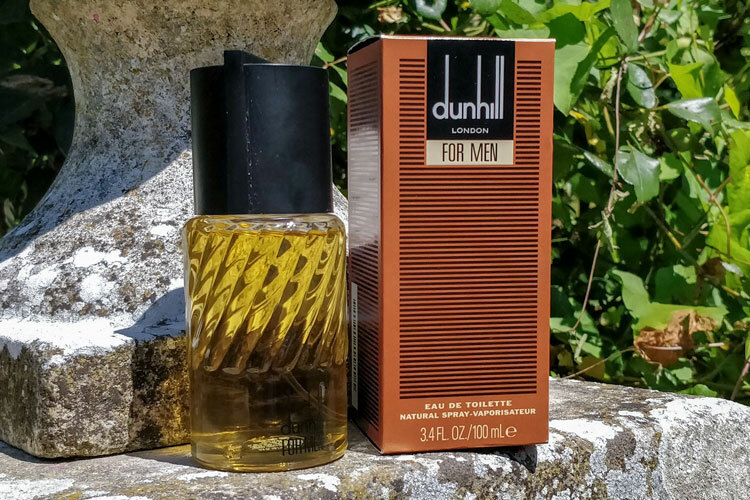 While Dunhill Custom’s dry-down is pleasant, it seems to lack inspiration and comes across as a relatively simply fragrance. Meanwhile, the performance is not particularly impressive. Indeed, Custom has been panned by critics for its short longevity and weak sillage. Nevertheless, I found that the projection was reasonable when at the peak of its life-cycle. However, there’s no harm in getting a small portable atomiser to top up during the day for an extra boost. As mentioned above, the fragrance community was at times quite harsh with Dunhill Custom. However, it’s easy to overlook that the luxury brand sometimes produces affordable products such as this fragrance. When testing it with my peers, the general consensus was that Custom wasn’t unpleasant. Nevertheless, people did occasionally note that it smelled either a little generic or reminiscent of a mall fragrance. That said, there are people who found Custom to be quite pleasant. I noted that this was particularly the case of men in their 30s and above. Meanwhile, some women seemed to enjoy it too. Interestingly, one person who tested it asked whether it was Dolce & Gabbana The One. Indeed, there seems to be a resemblance in the base. Firstly, Custom is a decidedly autumnal and wintery fragrance. Thanks to its deep incense notes and spicy apple connotations, it produces rich imagery of the colder months. From apple pie to a crackling fire, it was quite vivid indeed. As mentioned above, it strikes me as a fragrance best suited to someone in their thirties or above. Nevertheless, the price could make it an attractive purchase for someone younger. Furthermore, I find this to be a fragrance most suitable for the office. 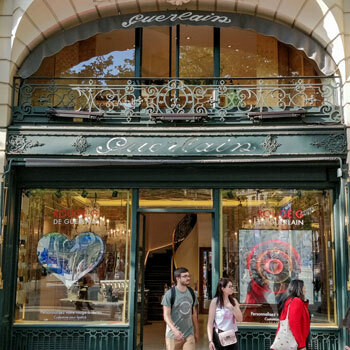 Ironically, this is where Charles-Philippe suggested that Dolce & Gabbana The One shouldn’t be worn. That said, I believe it’s best suited for a working environment given that it’s quite inoffensive and not very strong. Another irony would be that Custom is best suited for wearing at night thanks to the connotations that it creates with its bouquet. While this is something of a contradiction, it would be perfect for a dark winter period. Finally, this is an unapologetically masculine fragrance. With the use of smoke and incense notes, it’s a classically manly scent. In terms of presentation, the bottle looks great and feels heavy to hold. Meanwhile, the fragrance oils are a deep amber colour, which is very attractive to admire. Unfortunately, the bottle cap was something of a letdown as it was effectively a plastic cylinder. Meanwhile, the packaging was an interesting blend of Dunhill’s usual heritage design. However, there was a touch of modernity probably to attract a younger audience. As for the atomiser, it worked okay. However, if pressed too slowly, it lets out a water-gun squirt rather than a pump of mist. Finally, the value for money is very attractive with Dunhill Custom. At one point, its RRP was lowered to a mere $40. However, you can get it on Amazon for only $25 instead! While it’s not a perfect fragrance, it’s certainly affordable, which makes up a lot for its rougher edges. As I hinted a few times earlier, Dunhill Custom is not a perfect fragrance. However, it features a wonderfully immersive head and smoky notes that are reminiscent of the colder seasons. Furthermore, it’s a very affordable purchase. Therefore, if you’re looking for something pleasant to wear at the office that’s inexpensive, it’s one worth considering. 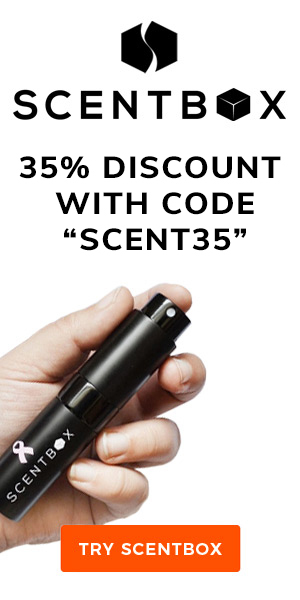 "A pleasant and affordable fragrance. If looking for a cheap yet alluring winter fragrance, Dunhill Custom is worth considering!" I do like some of the old Duhill frags, including this one. But like you Paul, I love what direction they went with Icon (well at least the first couple). Thanks for your comment. Delighted to hear that you’re as fond as Paul of Icon too! This is something new that I could try. Thanks for sharing this post. Delighted that you enjoyed the article. I hope that you will like Dunhill Custom. Thierry Mugler Alien Man Fragrance Review: Does E.T. Phone Home With This New Release? Armaf Club de Nuit Intense Man (CDNIM) Fragrance Review: Does This Creed Aventus Clone Deserve The Hype?